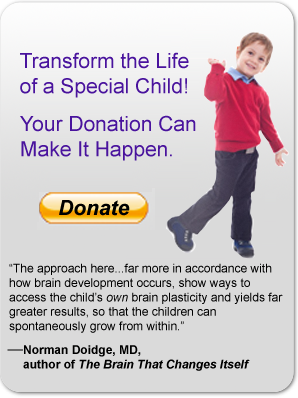 Our mission is to extend our reach for providing breakthrough outcomes to children with special needs and their families, using the unique NeuroMovement® approach of the Anat Baniel Method, verified by leading-edge research in the neuroscience of brain change. The Anat Baniel Method Foundation is a nonprofit, public benefit corporation under section 501(c)(3) of the internal revenue code. To offer financial assistance to families of limited means by awarding partial scholarships towards the cost of Anat Baniel Method sessions for children with special needs. To fund research into the Anat Baniel Method that studies the validity of the method, raises awareness of the innovative approach and tools of the method, and helps make it the standard of care in physical therapy and rehabilitation. To provide tuition scholarships for individuals who desire training as Anat Baniel Method practitioners who are experiencing financial hardship at the time of the training. 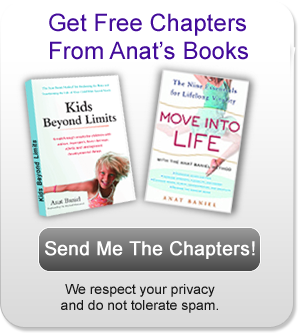 See the transformational results of the Anat Baniel Method. View ABM videos here.